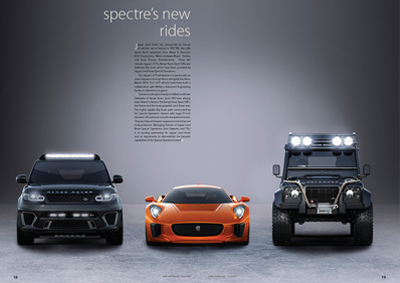 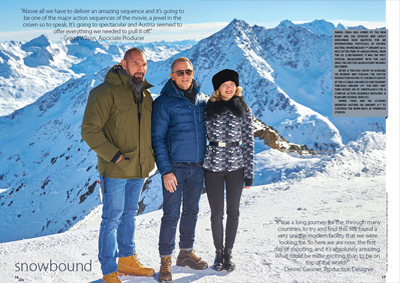 Ask anyone with a passing interest in Bond and they'll recall the terrorist organisation SPECTRE pulling the strings on some of 007’s most dangerous missions; but not because they have been a regular fixture of recent times. 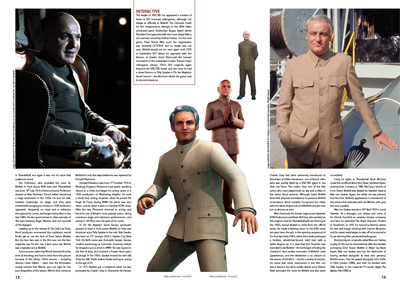 However, the organisation will be back (and just possibly its ubiquitous leader, Blofeld) in the 24th screen adventure. 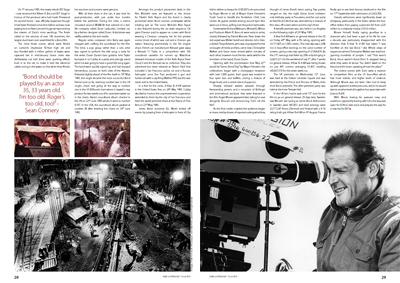 This issue pays tribute to the legacy that went before it. 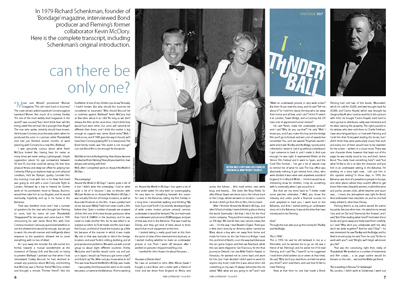 Packed with trivia, and historical data, we recount the rise of Blofeld from the germ of an idea from author Ian Fleming and producer Kevin McClory to his most recent filmic appearance in For Your Eyes Only. 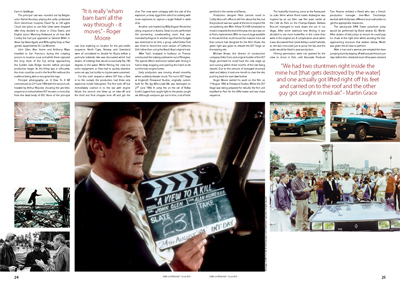 We also explore the little-told history of Roger Moore’s seventh and final outing, A View To A Kill – celebrating its 30th anniversary by catching up with several of the film’s alumni.